... to support our hardworking students during Student Media Week April 22-27. We're raising money for our Innovation Fund and to support our student teams for salaries, travel, equipment and other efforts. Any size gift is welcomed, appreciated and will go directly to our students. Kent State Student Media makes the connections you need. Whether you are a student searching for an authentic media experience, a community member seeking to share your story, or you simply want quality news, information and entertainment, we deliver for you across 34 outlets through print, digital and social media. 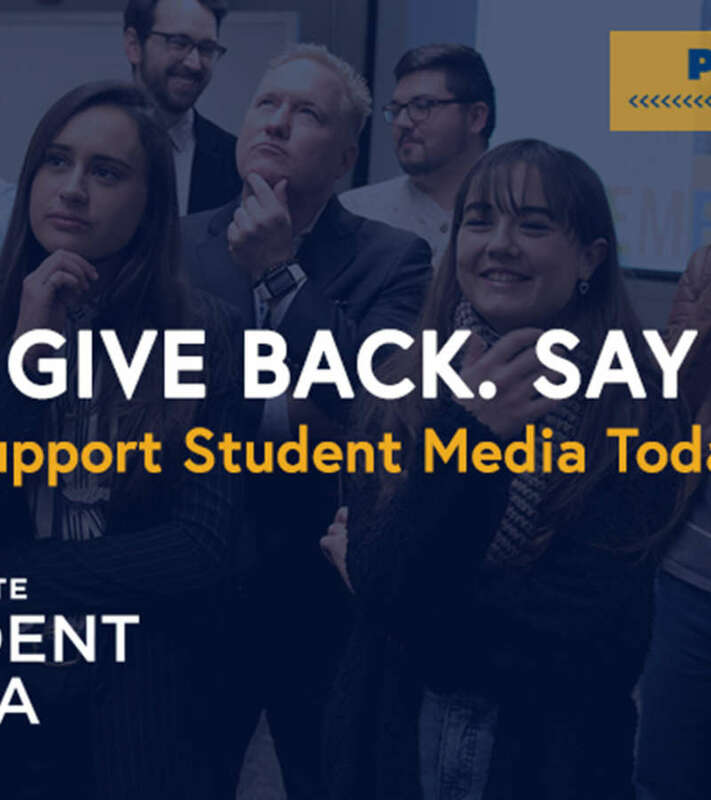 Ten distinct media partners make up the engine that drives Kent State Student Media forward. Each partner is a unique and independent student organization, producing content for TV, radio, print magazines and newspapers, websites and social media. Together, they reach thousands of people every day, delivering original reporting, information, entertainment and advertising. We have been serving Kent State University and the Kent community for 90 years with independent student-produced media. We have the outlets you need to reach the target audience you desire.